National Grid won the 2017 Utility Week Award for Best Back Office Team for its project to spin-off National Grid Gas Distribution from the rest of the group. 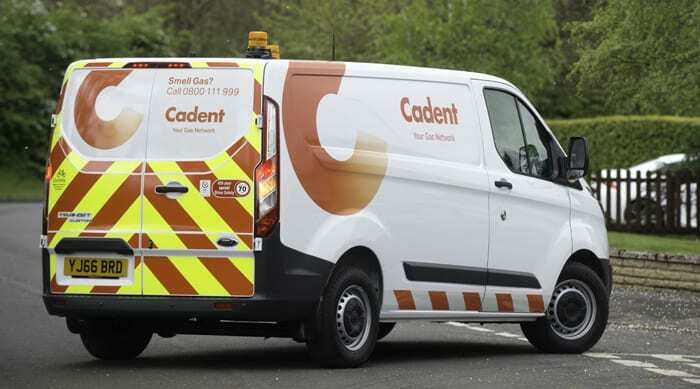 Picture: National Grid Gas Distribution was rebranded as Cadent following the separationWhat was the aim of the project? The aim of the project was to establish National Grid Gas Distribution as a legally separate entity to enable its sale at the best the possible price, whilst minimising the disruption to the rest of the National Grid group. How big was the project? At the time, National Grid employed approximately 25,000 staff and had an annual of turnover of £17 billion. The project required the transfer of the roughly 4,000 people employed in the gas distribution operations to the new company in consultation with trade unions. The project team also had to amend around 1,000 back office processes, replace or renew 1,100 contracts, move across thousands of properties and land rights agreements and carve out and migrate 1.8 billion data items. All this had to be done within a 9-month period to enable the sale to be completed within the same financial year. How was the project undertaken? In January 2016, a team of 50 people was assembled to carry out the initial scoping and create a roadmap for the transition. Their primary focus was defining the scale of challenge across all National Grid’s operations. The size of the team grew over time, reaching 300 the following March as they began mobilising the various workstreams and activities. To free up resources, all non-strategic initiatives were cancelled, and a new interim organization was created to control the project and report back to executives on its progress. With the project bringing together people from across the wider company, National Grid undertook numerous initiatives to instill a sense of belonging, establish a common purpose and ensure strong communication. These included holding monthly town halls, weekly inter-team meetings, appreciation awards and social events. The team conducted a go-live rehearsal to make sure everything went smoothly when the final separation took place. Judges said the winning team came together to oversee a “landmark change” for National Grid with “minimal disruption and maximum efficiency”. A new FTSE 100-sized was created company serving just under 11 million gas customers across the UK. The project was delivered on time, within budget and with no unplanned disruption to the rest of the group. More than 1,200 critical milestones were met between March and October 2016. When a 61 per cent stake in the new company was sold to an international consortium of investors, the gas distribution business was valued at £13.8 billion, with £4 billion of the proceeds being returned to shareholders. National Grid voluntarily set aside £150 million to help fuel-poor households in Great Britain, for example, by paying for first-time gas central heating systems and promoting energy efficiency measures. Sponsorship opportunities are available – contact Utility Week business development manager Ben Hammond on benhammond@fav-house.com or 01342 332116 for more information.